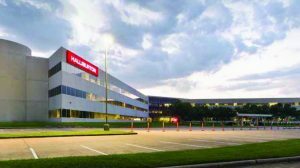 Halliburton, the company that got its start in Oklahoma and still has a strong presence in Duncan is expanding with the acquisition of a Houston based firm specializing in water and process treatment chemicals. Halliburton purchased Athlon Solutions and it will become part of Halliburton Multi-Chem business line which is a provider of specialty oilfield chemicals for stimulation, midstream and production customers. It will result in a stronger chemicals technology, manufacturing and supply chain for Halliburton. And it will also give Halliburton its first chemical manufacturing plant. Athlon is headquartered in Houston, Texas and has 250 employees serving global customers as well as all major refinery and petrochemical areas in the U.S.